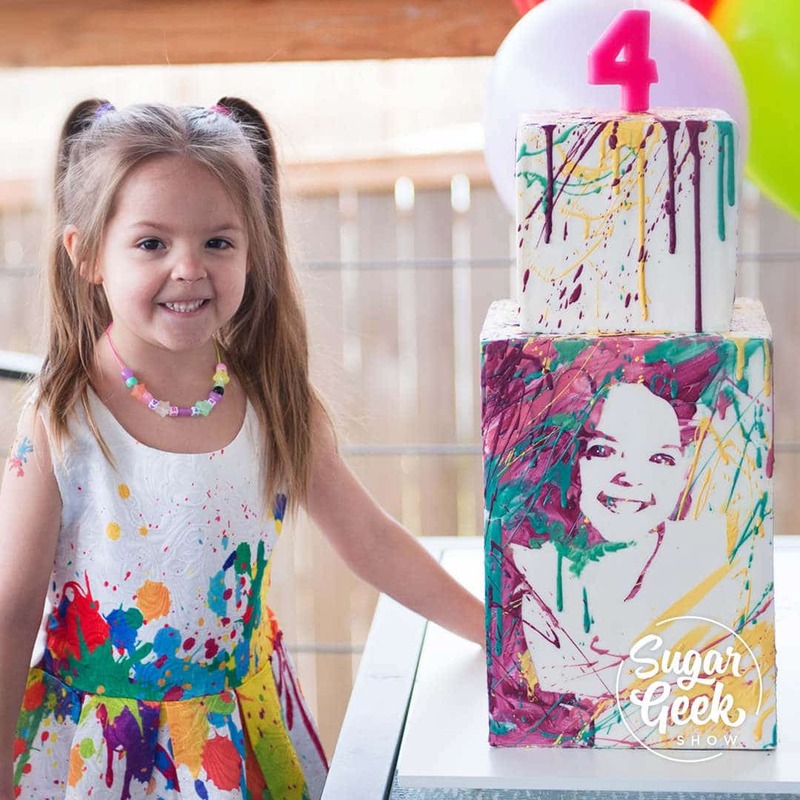 The theme of this birthday party was “Little Artists” for Arya, who is turning 4. We discussed a few options and settled on a 4-sided cake with a portrait of Arya at 1, 2, 3 and 4 years of age. It was such a fun project and turned out so well, I’m very excited to share this technique with you. I think this technique can be applied in a number of ways and I look forward to seeing how you will apply this cool look.